Furiends I hope you enjoy this very festive edition of Film on Friday! What do you think, do I make a good Santa Paws? « The humans are loving Florida! My kitties would love a visit from “Bailey Santa Paws”!!! 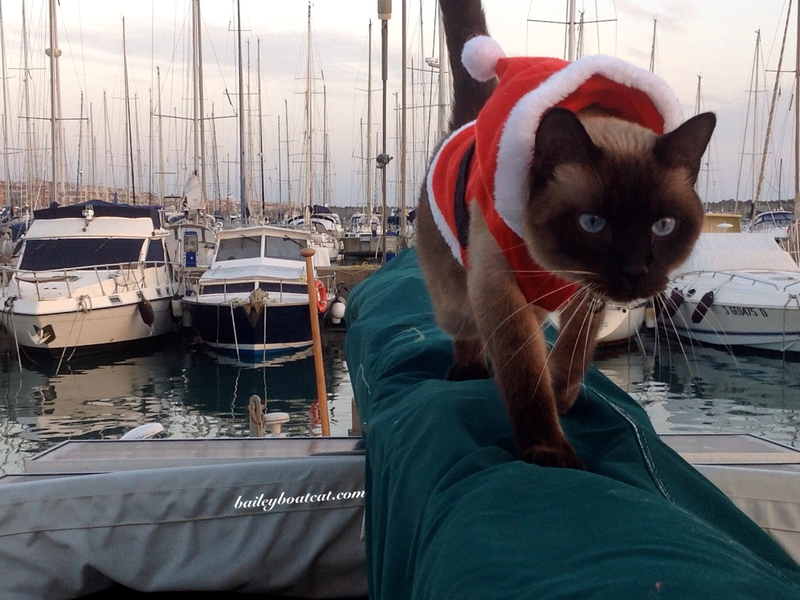 Bailey you’re the only Sailor Santa Paws I know!!!! Love your outfit…………….! For Santa’s sake you are one fun kitty! You look so handsome. Bailey you are cute in your birthday suit AND a Santa Paws one too- you make me smile as Santa Paws! Santa paws is coming to town! LOL, you look wonderful, no matter what you wear. You make an AWESOME Santa Paws, Bailey! You make a PAWsome Santa Paws , Bailey !! You’re a GREAT Santa, B. Looking all around, you can really “see us when we’re sleeping and know when we’re awake…” Like the real Santa!